1. Kareem Abdul-Jabbar – this was an easy pick. In my opinion, Kareem is not only the top center of all time, but, with apologies to Michael Jordan, Larry Bird, Magic, Dr. J., etc., is also the greatest basketball player of all time. He entered the NBA in 1969 (as Lew Alcindor) and within a year guided the expansion Milwaukee Bucks to a championship. He played 20 years in the league, and won a total of 6 titles and 6 MVP awards. He was a 19-time all star, was voted to the all-defensive team 5 times, and when he retired held the league record for points scored, games played, defensive rebounds and blocked shots. His signature “sky hook” shot was basically unstoppable. 2. 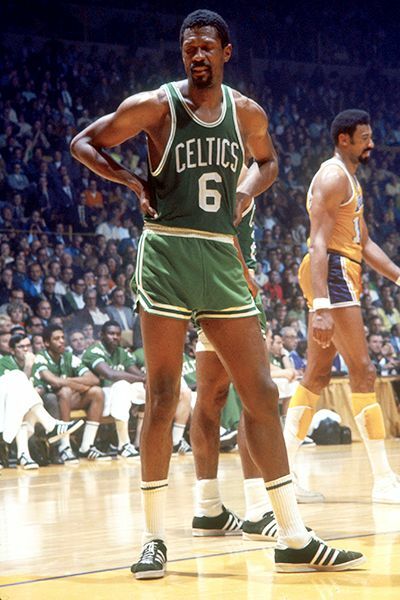 Bill Russell – without a doubt, Russell was the greatest defensive center of all time. However, his game was much more than that. He was a great rebounder, clutch scorer and all-around unselfish player. 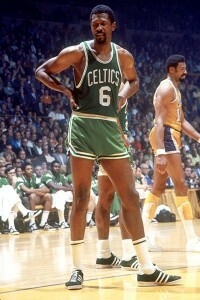 Russell played for the Boston Celtics from 1956 until 1969, serving as player/coach for his last 3 seasons. He won 11 NBA titles in his 13 year career, and was MVP 5 times, and was a 12-time all star. His legacy is really that he could have easily compiled better career numbers, but sacrificed personal stats for the good of his team, a team that was a total dynasty during his stay there. He is the most unselfish superstar of all time, in any sport. 3. 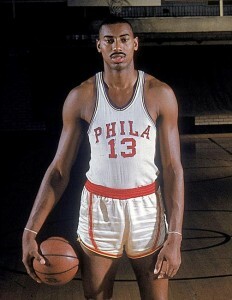 Wilt Chamberlain – “Wilt the Stilt” was one of the greatest professional athletes of all time, a player who changed the game and was so dominant he forced rule changes by the sport to slow him down. He winds up on this list in a spot he spent a lot of time in during his playing days, one spot behind Russell. However, that doesn’t diminish the greatness this man displayed over the 15 years he played. He was one of the most durable players of all time, and put up tremendous numbers. He won 7 league scoring titles, led the league in rebounding 11 times and even led the league in assists once. He is the only player in NBA history to average more than 40 and 50 points for a season. He once scored 100 points in a game. Also called “The Big Dipper”, Chamberlain’s career was dotted by his failures in head-to-head matchups against Russell, but he was a winner. He was 13-time all star, league MVP 4 times and played on 2 NBA championship teams. 4. 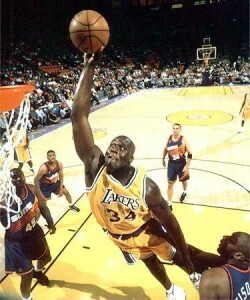 Shaquille O’Neal – “Shaq” recently retired from the game after an outstanding career. Like Wilt, he is a physical phenomenon who changed the game. He was a dominant force in the middle for every team he played on, and forced opposing teams to use a unique strategy to try to stop him – taking advantage of the one weakness in his game, poor foul shooting, by running bench players into the game to foul him intentionally. In his career, he was a 15 time all star, won 4 NBA titles and was Finals MVP 3 times, and retires as the 5th highest scorer in league history. 5. 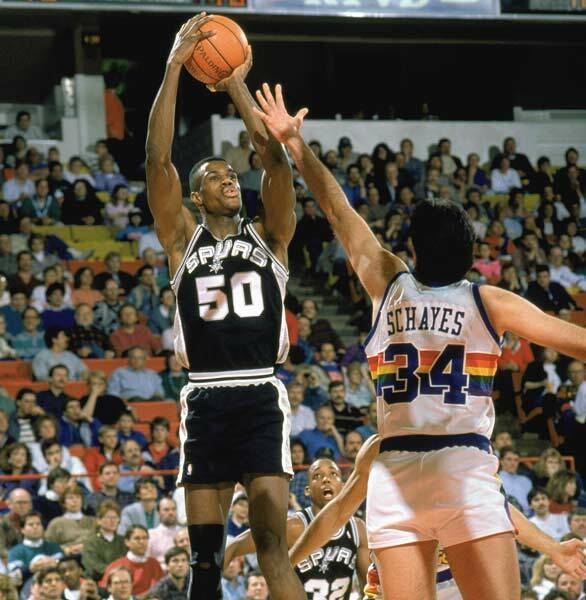 David Robinson – this is probably the only surprising name on this list. “The Admiral” attended the Naval Academy, and served 4 years in the Navy, so his NBA career didn’t start until he was 24 years old. Still, he managed to play 15 seasons, was an NBA all star 10 times, and played on 2 championship teams in San Antonio. Like Russell, his game wasn’t about stats, and he was a tremendous all-around center, with high career numbers in scoring, rebounds and blocked shots. He was NBA all-defensive team 8 times. Are there any current players who might still pile up stats to equal these guys? Nobody will ever match Chamberlain’s or Kareem’s stats, and the only active centers who score and put up rebound stats consistently are Dwight Howard , Dirk Nowitzki and Tim Duncan, but all 3 are more like power forwards than centers. The game has changed so much compared to the eras of the players on the list, and the lines are blurred now between positions like power forward and center, point guard and shooting guard, etc.